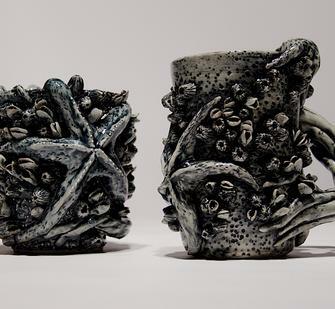 Rachel Ashman is a multimedia artist with an emphasis in ceramics currently living in San Jose. Growing up in a family of dedicated craftspeople has guided her love for time and labor in her own artwork. After receiving her bachelor’s degree in art education from Humboldt State University she had the opportunity to organize and implement community art programs for grades K-12. Rachel recently received her Masters of Fine Arts degree from San Jose State University and has been making ceramic work and jewelry. She is excited to join the Montavlo Arts community. Pinch, coil and slab pots are both ancient and contemporary pottery vessels formed by hand. Join us to explore these forms, their construction, and how creative the medium can be. Surface detail techniques, darts, templates, glazing methods and more will be demonstrated to expand students’ repertoire of skills. Students already versed in wheel throwing will also learn how to incorporate these hand-building techniques into wheel-thrown pieces. This beginner friendly workshop will also help intermediate-level ceramicists improve their skills.